There will soon be nowhere to hide from Facebook selfies, Justin Bieber news and emails from your boss. Satellite communications company Iridium has developed a Wi-Fi hotspot that can bring Internet connectivity to almost every corner of the planet. 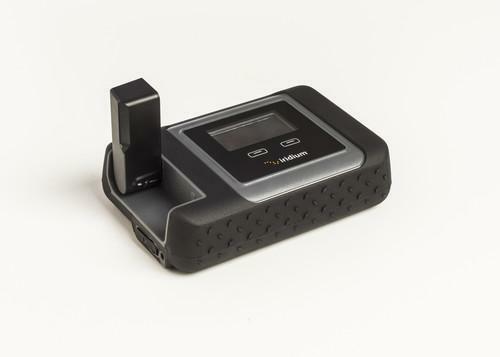 The pocket-size device, set to be released in the second quarter, connects to the company's satellite voice network to provide service similar to the analog modems that were commonly used for landline Internet access until about a decade ago. Speeds will be low -- about 20 kilobits per second, according to the company -- but a slow connection might be better than none at all, depending on the location. To tackle the slow data rate, Iridium will offer its own email application that utilizes compression to increase data transmission efficiency. That should enable about 20 text-based emails per minute, the company said. "We're working with app developers to create apps that are maximized to run on our network," said Ashley Eames, a spokeswoman for Iridium. The hotspot will cost about US$800 and data rates will vary depending on the Iridium airtime plan. They will be sold as regional or seasonal packages with prices of around $1 per minute on prepaid plans. Data speeds are expected to get faster in the coming years after Iridium launches a new fleet of satellites. The low data transmission speed on the current network is a result of the satellites having been designed when data and Internet access weren't large priorities. The Iridium Next satellites that will launch from 2015 should provide 1.5M bps data service, according to the company. Iridium offers a separate satellite broadband service, although it requires a large antenna and is targeted at maritime and aviation use.